Facial numbness or drooping – This may be indicated by a lopsided smile or drooping of the eyelid and/or cheek on one side of the face. Weakness or numbness an arm or leg – A person may have trouble controlling one side of the body, with one arm that drifts downward when they are asked to raise their arms, a weak grip with one hand, or one leg that shuffles along while walking. Confusion – A person who is having a stroke may suddenly seem confused, having trouble understanding other people or what is going on around them. Difficulty with speech – Speech may be slurred or a person may have difficulty with word retrieval – unable to find the appropriate words to express thoughts or recall the names of everyday items or familiar people. Sudden vision changes – A person in the midst of a stroke may have blurred vision, double vision or significant gaps in their field of vision, unable to see a person or object slightly off to the side of them, for instance. Trouble walking – A stroke can cause a person to feel very dizzy or suddenly have difficulty with balance and coordination, issues that are often most obvious while a person is standing or walking. 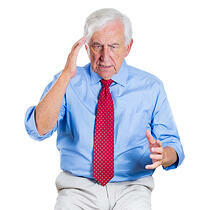 Severe and sudden headache pain – Intense, sudden onset headache pain is among the more common warning signs of stroke. Nausea and vomiting – Sudden feelings of all-over weakness, nausea and vomiting with no obvious cause can be a symptom of stroke. If you or a loved one is showing any combination of these common warning signs of stroke, immediate action is essential. Make note of the approximate time that the first symptoms appeared if possible, then get emergency medical attention as quickly as possible. Early medical treatment, such as clot-dissolving medications and other interventions, can really make a big difference in stroke outcomes, saving lives and limiting levels of long-term disability in stroke survivors.